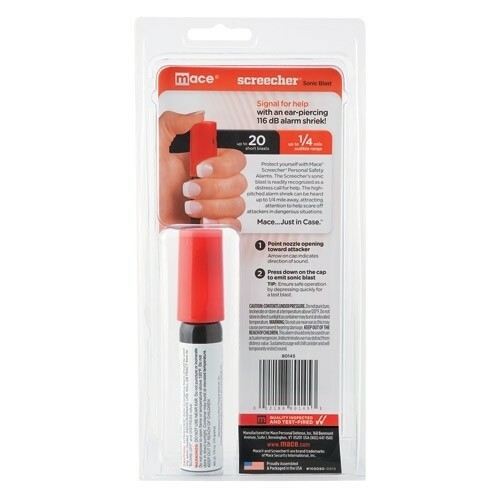 The Mace™ SCREECHER AEROSOL ALARM emits an "ear-piercing" blast readily recognized as an emergency call for help. Its high-pitched shriek can be heard up to 1/4 mile away. Convenient size for pocket or purse. 10 gram unit has a push-top activator. Contains approximately 30 short blasts.